Before we get to my top 50 singles from 1991, let's remember what else was going on that year. At the cinema, it was the year of The Silence Of The Lambs, The Commitments, JFK and, of course, Robin Hood: Prince Of Thieves. On TV, we were watching The Simpsons (then going out and buying "Do The Bartman"), the end of Dallas and, in Australia, sketch comedy show Fast Forward. Meanwhile, in the real world, war and violence seemed to be raging in every corner of the globe. In a world gone crazy, it was nice to have music to lighten the mood. Unless you listened to grunge, of course. Leaving the safety of the Stock Aitken Waterman hit factory had been a bit of a risky move for some artists who'd previously attempted it - but in 1991, Rick proved he could score a hit off his own bat with this big ballad, which was a top 10 hit in the UK and the US, and got to number 13 here in Australia. The meaningfully titled album, Free, didn't provide any further big singles and "Cry For Help" remains his final chart triumph here and in Britain, but in the US, his fourth album, Body And Soul, would provide him with a couple more hits. He hadn't yet filed his lawsuit against Sony Music, but things had already been tense between artist and record company thanks to George's refusal to promote his Listen Without Prejudice, Volume 1 album. In 1991, singles continued to be released from the LP with little success and it wasn't until this live recording of a duet recorded at Wembley in March was released towards the end of the year that George was back at the top of charts. Originally recorded in 1974 by Elton himself, the pair first performed the song together at Live Aid in 1985. George had included the song in the set list for his Cover To Cover tour in 1991 (which largely consisted of remakes instead of songs taken from Listen Without Prejudice) - and Elton popped along at one of the shows to help out. The result: a US and UK number 1, his final one in the States. I'd been a fan of "I Say Nothing" and "Don't Call Me Baby" from VOTB's debut album, and the rest of Australia got in on the act with this cover of the 1970 Partridge Family hit. "I Think I Love You" became a number 12 hit locally - much higher than it managed in the UK. It was taken from the second album by the group (which featured Madness' Woody on drums) - the title of which, Honey Lingers, was a little bit cheeky. Say it quickly. 1991 proved to be a major turning point in the career of this group, who had embraced the sound of rave music on their 1990 album, En-Tact, and were joined by Mr C, the rapper who'd become the face of The Shamen. "Move Any Mountain" started off as a track on En-Tact called "Progen" and - after a bit of remodelling from Beatmasters - was re-released in 1991 and became the group's first big hit. The combination of The Shamen's tracks and Beatmasters' remix skills would be a very fruitful pairing over the next couple of years. For me, they were very much a singles act, since the album versions of their songs were often nothing like the ones you heard on the radio and watched on music video shows. Here's another of 1991's big UK dance acts - and it was a massive year for the duo formerly known as The Timelords, also known as The Justified Ancients Of Mu Mu, furthermore known as The JAMs. Perfecting the "stadium house" sound they'd debuted on 1990's "What Time Is Love? ", Bill Drummond and Jimmy Cauty hit the top of the UK chart (and top 5 in the US and Australia) with this track and almost repeated the feat with follow-up "Last Train To Trancentral" (above at number 46). Like The Shamen, both tracks were quite different in their "Live At..." single versions than as originally released. Just to keep everyone on their toes, the pair next drafted in country legend Tammy Wynette to update a song that had appeared in different forms on two of their albums. Their final single for 1991, "Justified & Ancient" (above at number 48), was a stroke of genius, despite the fact that the song, complete with lyrical references to ice-cream vans and "fishing in the rivers of life", made very little sense. But, that's where things ended. An outrageous BRITS Awards performance later and they called it a day. It would've been nice to see what else The KLF had in them, but sometimes it is best to quit while you're ahead. In 1985, Bronski Beat recorded this song and had it all ready to be released as their next single when Jimmy up and left the group to form Communards. An extended version of the track wound up on remix album Hundreds And Thousands, and then a new version was included on Jimmy's 1990 best of, The Singles Collection. Thankfully, PWL producers Harding & Curnow and remixer Stephen Hague got their hands on it for the single release - and another high energy pop smash was born. Well, except for the "smash" part, with this single failing to follow Jimmy's cover of "To Love Somebody" into the upper reaches of the UK chart. 1991 was a busy year for Mariah, whose record company showed remarkable restraint in only releasing two further singles from her debut album - this track and "I Don't Wanna Cry" (although the UK also got "There's Got To Be A Way"). Then, it was swiftly on to album number two, and singles "Emotions" (number 130 on this list) and "Can't Let Go" (number 67), which ensured there were an even amount of big ballads and upbeat tracks around to keep everyone happy. And at that stage of her career, Mariah was keeping a lot of people very happy, with both Mariah Carey and Emotions selling millions upon millions of copies. Speaking of selling millions of albums... here's a man who knew a thing or two about that. Although Bad hadn't matched Thriller's incredible sales figures, it hadn't done too badly and so expectation was high for MJ's next record, his first in four years. For Dangerous. Michael moved on from long-time collaborator Quincy Jones and embraced a more R&B sound - but for the first single, he stuck with pure pop. I distinctly remember the first TV broadcast of the music video for "Black Or White" being a primetime event - and it didn't disappoint, with the face morphing effect quite impressive for the time. I could have done without the bit at the end where Michael goes berserk and starts smashing stuff up - and I mostly did, since that epilogue was rarely screened again. UK dance label Deconstruction was shaping up to be a great source of crossover hits in 1991. Black Box were still going strong, we saw N-Joi's "Anthem" back in Part 1 and this track also hit the UK top 5 (upon re-release). In years to come, names like Felix, Usura, The Grid and even Kylie Minogue would hit the charts for the label. In 1989, Brave had been a multi-platinum success for Kate Ceberano, but in 1991, interest in her second pop album was virtually non-existent. The singles - like this and "Every Little Thing" (above at number 40) - struggled on the Australian chart, while parent album Think About It limped to number 24. At the time, I couldn't understand it since I thought the album was just as strong as Brave, but its relative lack of success pretty much put paid to Kate's dance/pop career and she turned to Andrew Lloyd Webber the following year. Brothers In Rhythm narrowly missed my top 100 with one of their own songs ("Such A Good Feeling"), but they were much more successful as remixers/producers than artists in their own right. Here's one of the many tracks they helped turn into a hit. In Australia, "Peace" stalled at number 82 on original release, but the BIR remix sent it all the way up to number 24. Living in Australia, where this UK chart-topper didn't even make the top 100, it's hard to appreciate just how massive Chesney was for such a short period of time in Britain. "The One And Only", which was taken from the soundtrack to Buddy's Song (in which Chesney played the title character), was number 1 there for five weeks and Chesney became an instant teen heartthrob. But, none of his subsequent singles got any higher than number 27 and he became the very definition of a one-hit wonder (although, technically, a number 27 song is still a top 40 hit). He was a bona fide one-hit wonder in the US, where "The One And Only" got to number 10 after it was used in the film Doc Hollywood. Proving Look Sharp! had been no fluke, the Swedish duo continued their run of hits in 1991 with singles released from the Joyride album. The title track (number 104 on this list) gave them another number 1 in Australia, but I preferred this second single, which became their seventh straight top 10 hit here. It would also be their final top 10 appearance in Australia, with other 1991 singles "The Big L" and "Spending My Time" (number 154 on this list) each only managing a top 20 placing. These days, he's a mentor (NOT a judge) on the Australian version of The Voice and occasionally releases soul covers albums, but in 1991, Seal was one of the most exciting new artists around. 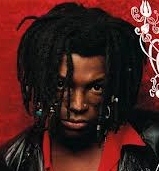 Having already sung on a UK number 1 (Adamski's 1990 hit, "Killer"), Seal went international with "Crazy", reaching number 9 in Australia and two places higher in the US. Produced by Trevor Horn, the song - and the entire self-titled album it came from - sounded fantastic and it's still a CD I'll play from beginning to end to this day. Just when you thought there wouldn't be any briefly successful American female solo artists in this batch of songs... here's a singer I always thought of as the new Martika, since "Save Some Love" had input from Michael Jay and sounded as poppy as early Martika songs like "More Than You Know". "Save Some Love" reached number 15 in the US and would be her only hit there. What I didn't know until now is that her second single was "Wishing On The Same Star" - the much covered track that was also recorded in the early '90s by Girlfriend and Judy Cheeks (both of which I own). I mentioned back in Part 1 that The Family Stand had been responsible for the bulk of the songwriting and production on Paula Abdul's Spellbound album, which was quite an adventurous choice given the R&B group had only had one hit to date - 1990's "Ghetto Heaven" went to number 10 in the UK - and were virutally unknown in the US. This track was also from debut album Chain but made no impression on charts around the world. It took Christian singer Amy Grant five years to follow up her US number 1 duet with Peter Cetera, "The Next Time I Fall", with another pop hit - but "Baby Baby" (written about her daughter) had been worth the wait. Not only did it return her to the top in the US, but it broke her in the UK (where the song reached number 2) and in Australia (number 5). Despite some religious conservatives disapproving of her move into secular music, Amy continued to release singles from the Heart In Motion album, like "That's What Love Is For" (number 84 on this list) and "Every Heartbeat". Synthpop supergroup Electronic had debuted back in 1989 with "Getting Away With It", but it took until 1991 for this follow-up to surface - and an accompanying album, which remains one of my favourite albums of all time. Although Electronic was packed with potential singles, only one more, "Feel Every Beat" (number 81 on this list) would be given a full official release, while another, "Tighten Up" (number 41), was a promotional single in the US, which is good enough for me. In my top 25, some more massive dance hits from 1991, a couple of cover versions of U2 hits and my favourite song of all time.